Freelancer.com,the world’s largest outsourcing marketplace, today announced that the site has passed $100 million in user earnings. 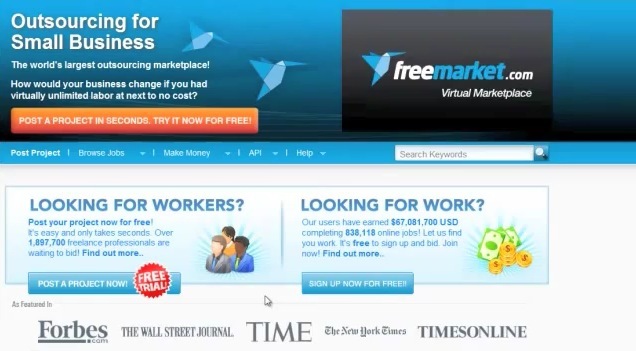 Freelancer.com CEO Matt Barrie says the figure proves that building a global team on a shoestring budget for any entrepreneur or small business is now a realistic, mainstream concept: “More individuals and businesses are discovering exactly how far they can extend their competitive advantage using Freelancer.com,” said Barrie. According to Freelancer.com, the United States and UK are the biggest outsourcing nations, followed by India, Canada, and Australia. Through Freelancer.com, businesses can simply post a project on the site where millions of professional freelancers globally can bid to complete the work, starting from US$30, with the average job accomplished for under US$200. Employers are guaranteed to only receive high-quality, timely work from freelancers via the site’s Milestone Payment system — a system that withholds payment until the employer is fully satisfied with the delivered work. “Employers want to know they’re hiring reliable and capable freelancers, so these decisions are not determined by price alone, but a combination of a freelancer’s bid, their reputation, and suitability to the task — determined by factors such as adherence to submission dates, quality of work and past employer feedback,” explains Barrie. There are over 400 categories of work that can be outsourced or crowdsourced through Freelancer.com, with IT being one of the most popular. Freelancer.com has also recently launched a design contest site — the world’s largest — where users can get 18 different types of design, including logos, business cards, t-shirts, and more. “You can get virtually anything done, whether it’s designing a website, data entry, or something as esoteric as designing an iPhone app so you can propose to your girlfriend! With Freelancer.com, 2.7 million professionals are readily available to deliver high-quality work at a fraction of the cost,” Barrie concluded.